Today is a special day because I have posted two giveaways! Man, I am busy. Not nearly as busy as the elves over at Soft Star Shoes. Barefoot is Best - Soft Star for the Rest! Soft Star believes in healthy, happy feet. That's why we've been making quality footwear for over 20 years. We use all natural, high quality materials in every handcrafted pair of children's shoes and moccasins. The soft and flexible soles we use on all of our shoes and moccasins mimic barefoot conditions so that your feet will be strong and athletic. As a company, Soft Star is family oriented. Our kids come with us to the shop where they play in our playroom. Our local customers love to stop by since our shop is a great place for the whole family to take a break. I found this picture on their site and it made me smile! One thing I love about this company is that you can design your own shoes! How neat is that?! Do you have a specific outfit that needs matching shoes but can't seem to find them anywhere-have Soft Star Shoes make them for you!! I picked out this pair for Dexter because lime if my favorite color! They are so cute and they are lined with fur so it is super soft to walk on! They are a little too big for him at this time so I couldn't take pictures of him wearing them. I didn't want my tripping all over the house. I can't wait to put his cute little feet in them and watch as he treats his feet to the softness of the high quality Soft Star Shoes! Thanks to the nice people at Soft Star Shoes, you, my very fantastic readers will have the opportunity to win a $30 gift certificate to their store!! You can use it to buy the baby in your life some shoes or you could put it toward a pair for your feet! yEaH! In order to win you need to head over to Soft Star Shoes and find your favorite pair and come back and tell me which pair you would like to buy. You MUST include your email address in the comment in order to be eligible to win. Want an extra entry?! Follow me on Twitter or Blogger (You must be a new follower to use this extra entry) You can own a blog and fave me on Technorati for an extra entry as well. Let me know your Tech name in your comment. Good Luck and don't forget to enter each day to win a Klean Kanteen from WaterLeaf Boutique or a MyOBaby Tote Bag. There are so many giveaways to enter! Check back daily! I like the Laguna Sandal Tidal - Chocolate. Lil Dipper - Red Size 4 toddler. Thansk for the great giveaway! I would choose the Twinkle Moc Chocolate in size 4 (baby)! So cute! Ahhh the twinkle moc watermelon (pink) is soooo cute! I would like to get the Smooth Viley Black for men in 11. Pink / Ginger for my granddaughters. project hop e7 at gmail dot com. * I also really like the adult Smooth Viley for men or women. I really like the Grippy Vailey in Navy & forest! So cute! I love the Zipper Boot Phoenix-Chocolate! I love their colors! 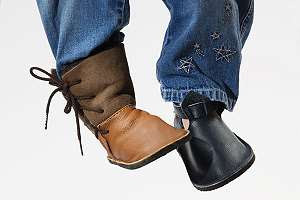 I would pick the Roo Moc in chocolate/turquoise in 6-12 mos! new Twitter follower (micaela6955) as of tonight! My favorite is Laguna Sandal Nova - Chocolate. Thanks for the giveaway! Nova - Pearl in Size 9 toddler. It's so hard to choose just one! They look comfy. I must go with the Roo Moc, size 4, in Red / Chocolate. Vegan Kid Rambler in Cocoa/Apple! I like the Laguna sandal Tidal, Pink stars size 10. I like the Woolie Loden Green. The Women's Padraig Mulls look comfy. Sure would be fun to design my own shoes, though! I like the navy/lavender shoes.